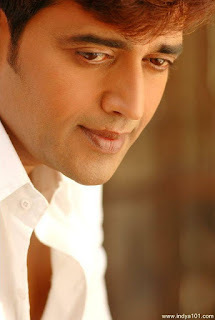 Ravi Kishan Shukla is one of Best Hindi and Bhojpuri Film Actor, Producer. His Also Worked in Punjabi and Telugu movies. Ravi Kishan is Very popular in Bhojpuri Cinema. He was the contestant in Colors TV Bigg boss season 1 (2006) and Also hosted and judges Mahua Tv Singing Reality Show Sur Sangram. Ravi Kishan Shukla was born on 17 July 1971 in Jaunpur, Uttar Pradesh. Ravi Kishan As a child he is not much interested in education has fought every moment of his life to be the best actor. He is Debut in acting Hindi tv Series Jai Hanuman as Shri Krishna. Family Background – Ravi Kishan Shukla was born into a poor Hindu family in Jaunpur, Uttar Pradesh. He is youngest of five siblings. His father was a priest and had a small dairy business in hometown. Ravi Kishan Personal life (Wife/Marriage) – Ravi Kishan is married to Preeti. he has four children, three daughters Reva, Tanishq, Ishita and a son Saksham. His father lives in his hometown, Bisuin (Barain), Jaunpur, Uttar Pradesh. 2017 – Om Har Har Mahadev Gunjan Pant, Mohini Ghosh, Amrish Singh, Priyesh Sinha, Payas Pandit, Priyanka Pandit.